There's a lot to like about the middle eastern staple called hummus, and now everyone who swears by it might enjoy "Hummus! The Movie," as well. Uh, and that includes its ongoing argument on where the concoction of chickpeas, lemon juice, salt, tahini, garlic and olive oil actually comes from. "The Movie" adds a pinch of Greece to the food talk, but mostly there's heavy portions of Israel, Palestine and Lebanon poured into a discussion that becomes eons more light-hearted than any serious conflict one might expect from that corner of the world. 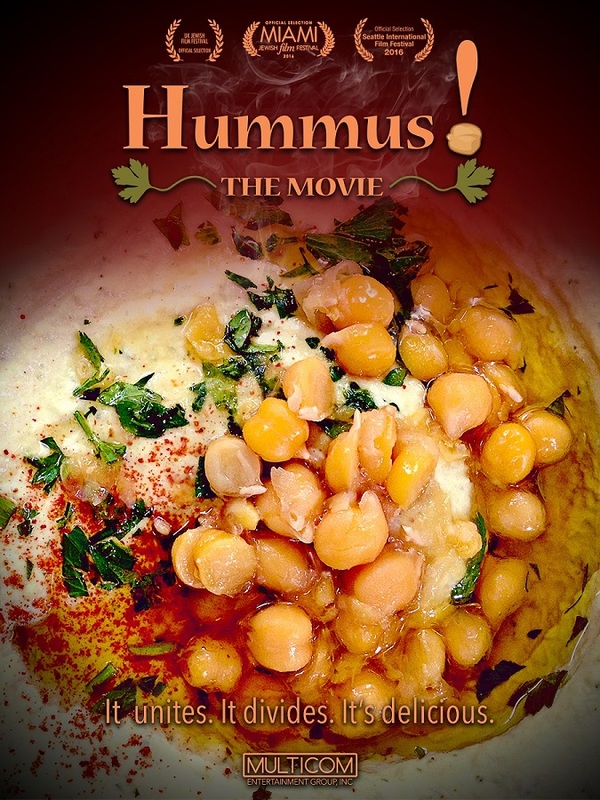 The fun film also includes ongoing "Guinness Book of World Records" challenges concerning the world's largest platter of hummus. And -- oh my gosh! -- Abu Gosh, an Arab-Israeli village with an astounding 20 restaurants in it -- might even take the cake! Of course, real people carry the recipe for success in any documentary, and this one from director and co-writer Oren Rosenfeld features exceptionally likable restaurateurs from all sides of religious palates. Certainly, Jews, Muslims and Arab Christians dominate, but a Benedictine monk isn't afraid to put on a somwhat humorous critic's hat, either. Hey, "The Movie" has a soundtrack, too, but only true connoisseurs might try to hum(mus) along.